The debt-laden company has to pay around Rs 11,000 crore for licence renewal and has written a series of letters to the DoT seeking a breather. Mahanagar Telephone Nigam (MTNL) will stay afloat even after its service licence expires on Saturday (April 6), the Department of Telecommunications (DoT) is learnt to have told the state-owned firm. The company had said the tenure of the 20-year the licence should be calculated from January 11, 2001, as it started functioning as a full-fledged Delhi-NCR player from that date. “From April 1999 to January 2001, Ghaziabad, Faridabad, Gurugram and Noida were not part of the licence agreement,” an MTNL official said. The DoT is learnt to have assured the firm that its demands are being considered. 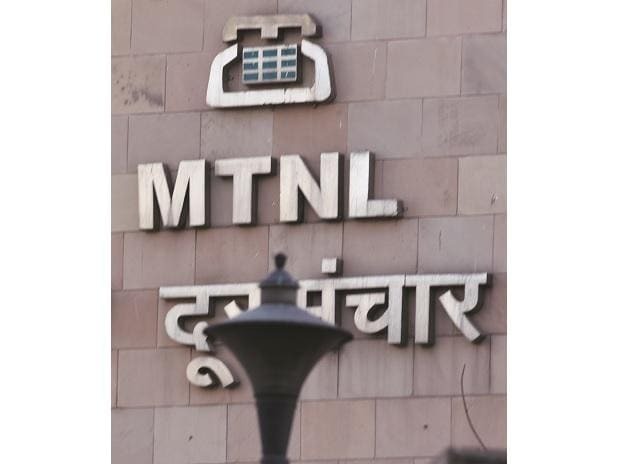 Officials in the DoT said the government would do everything to keep MTNL running and it was in the process of drafting the rescue plan for the company. They refused to divulge details. MTNL is currently under a debt of Rs 20,000 crore and has sought conversion of that debt into loans with sovereign guarantees, with full responsibility of principal and interest payment. 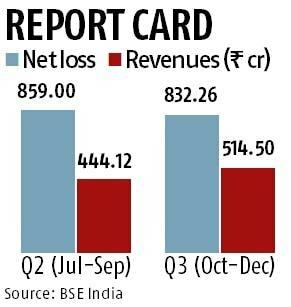 MTNL reported a standalone loss of Rs 832.26 crore for the three months ended December 2018, compared to about Rs 639 crore in the year-ago period. The total income of the telecom public sector undertaking (PSU) stood at Rs 692.42 crore, 18.7 per cent lower than the Rs 852.64 crore notched in the corresponding period of the previous year. The PSU wants to surrender its 3G spectrum which will fetch it Rs 3,500 crore that can be used for running the company and investment in the landline business, which is doing well. The employees also want the voluntary retirement scheme (VRS) after the implementation of the third pay revision, which translates into a Rs 300 crore increase in employee benefit towards MTNL. According to estimates, 10,000 employees are expected to take VRS, reducing the company’s wage bill by Rs 100 crore. MTNL has expressed its willingness to venture into providing fourth-generation, or 4G, services provided they are fully financed by the government. The PSU also wants the government to monetise its unused or underused real estate assets to spring the company back in business. In 1986, the central government incorporated MTNL to manage and control telecommunication services in two metropolitan cities — Delhi and Mumbai — with the vision of these services at affordable rates and become a total solution provider in the sector.